The Ritz CLNPBIANBK-1 bib apron has an extra-long length that covers taller employees and more of the body so clothes stay clean while messes stay on the apron. This article of clothing also protects employees since it resists heat, chemicals, oil, and abrasions with its neoprene construction. It is waterproof to keep staff dry, which makes it great for cleaning. 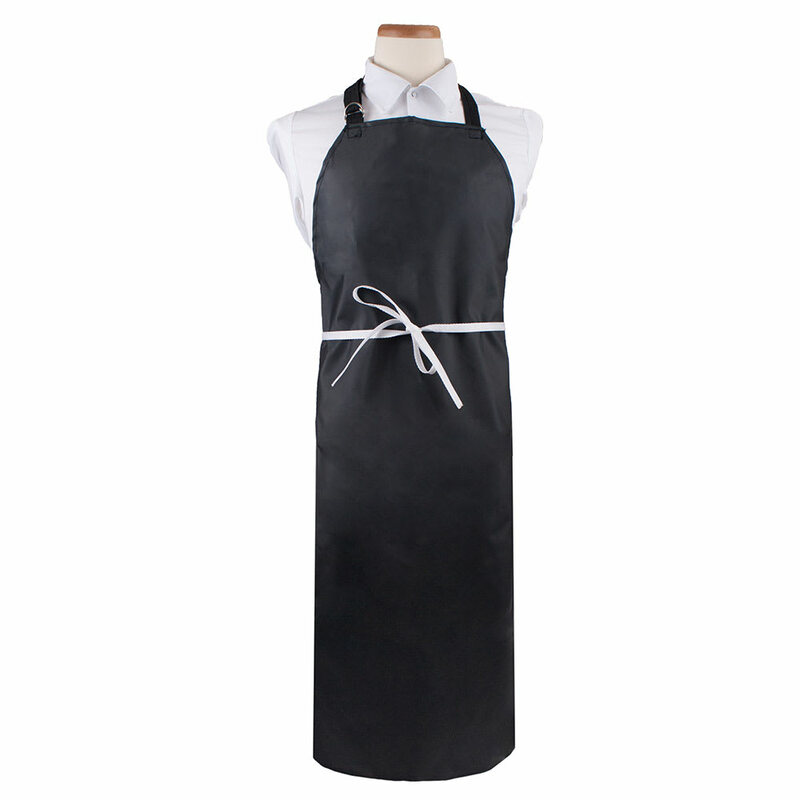 The Ritz CLNPBIANBK-1 bib apron comes in black to hide most spills and messes and maintain a professional appearance.